Carrying GL approval and tested to environmental category C and EMC2, the EPISTRON COMPACT power supplies can be used in onshore and offshore applications that require international marine certification. 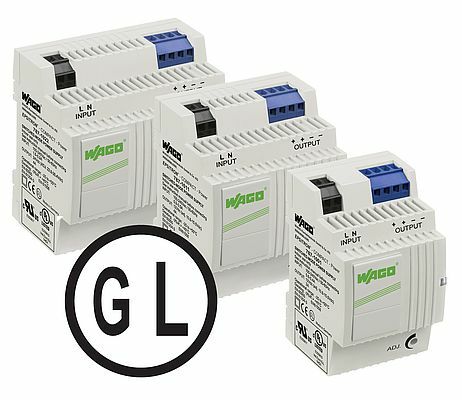 Developed by Wago, they are available with output voltages of 12 and 24VDC with different power ratings. With an overall height of 55mm from the top edge of the carrier rail, the supplies can be installed in distribution cabinets and system distribution boxes. They provide an input range of 85 to 264VAC and are connected via mechanically- and color-coded CAGE CLAPMP connection technology for fast, vibration resistant and maintenance-free wiring.